Friends, today’s featured freebie is bold, quirky and calligraphic font called Blow Brush. 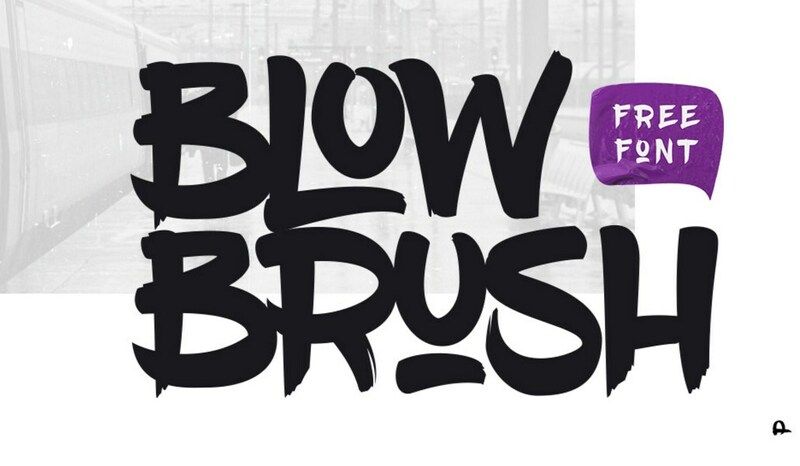 It is a hand-written, marker style font inspired by the hip hop culture and graffiti community. The font has legible letters, clear type, a lot of variations mainly useful for artistic, hip-hop or street style headings, headlines and typographic lettering. This font includes full set of upper characters, numbers, 22 ligatures, a selection of special characters and some variations. Many thanks to Petar Acanski for creating and releasing this free font for personal or commercial use.